The information board alongside the house number indicated that it was from circa-1805, when the Minister of the Interior ordered that numbers would be placed on the main door of each house, and that each street would have odd and even numbered sides. It also noted that the National Assembly had ordered numbering in 1790, but there was no consistency to the numbering. 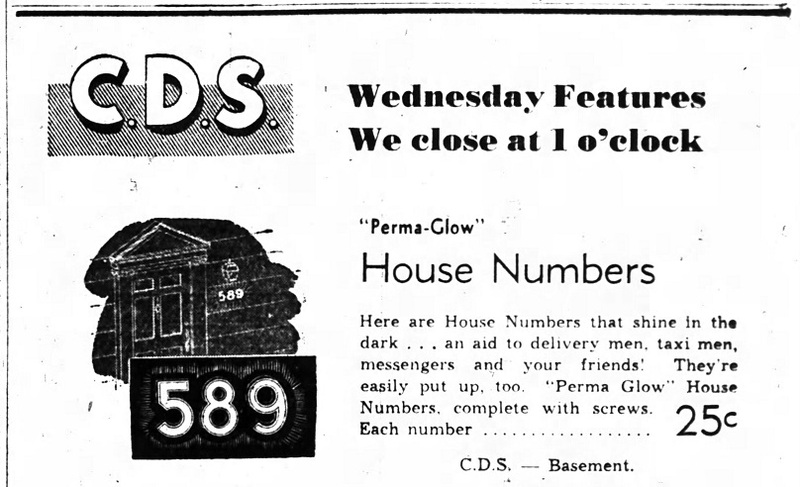 I dug a bit to try to come up with the origins of house numbering. The earliest organized numbering is debatable for sure. In Europe, prior to formalized numbering, houses would be distinguishable only by business signage, a coats of arms or the house name displayed. In 1898, the Jewish Chronicle wrote an interesting bit about the establishment of house numbering in England, which highlights well the adjustment that was made to begin utilizing civic addressing: "Toward the end of the eighteenth century the swinging signboards, which were then the only means of address, were ordered by act of Parliament to be taken down and affixed to the fronts of houses and shops, and shortly afterward to be removed altogether. Three reasons were assigned for the alteration: one was the danger to pedestrians from the heavy, cumbersome boards above, which frequently feel on passers-by; another was the obstruction to the circulation of light, and the third the difficulty to discover an address of a house, which could only be distinguished by a signboard. 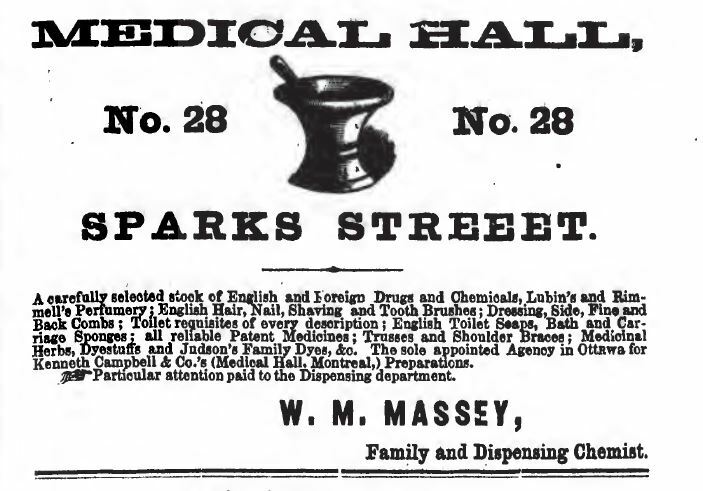 We wonder what would be the feelings of a fin de siecle stranger if he were asked to find his way from such an advertisement as the following which appeared in No. 207 of The Spectator: "To be lett, Newbury House, in St. James' Park, next door but one to Lady Oxford's, having two balls at the gate, and iron rails before the door." The last thoroughfares that kept to the swinging signboards were Wood and Whitecross Streets, which removed the objectionable, if quaint and picturesque, features of Old London in 1773. Numbers on London houses appeared somewhat tardily in London, and it was not till 1805 that they were enforced by police regulations." In 1896, the city of Berlin, Germany actually held a 100th birthday of house numbering. The report then noted that in 1796 "Starting from the Bradenburg gate, the Prussian ediles counted straight on to infinity, neither beginning afresh with fresh streets nor numbering the houses by odds and evens." So literally every house had a unique number, but still very confusing I'm sure. Vienna in 1803 edged out Paris by two years with the establishment of a formal numbering system. One published report I read had an interesting line: "it is possible to call the house number one of the most important innovations of the era of Enlightenment, a century that was virtually possessed by order and classification." There are bits and pieces of information in different internet sources about the origins of house numbering (one particularly in-depth study can be found at http://histoiremesure.revues.org/3942?lang=en which goes into great detail on individual cases during the 18th century). Really there is no absolutely correct answer, but point being, house numbering has been something that has evolved within a citizenry, and imagining the history behind it is kind of interesting. Being a fan of built-heritage, and the social history of houses and buildings, this really tweaked my interest in learning more about house numbering. It's a topic few have probably ever really given any attention to, and I'd bet I was probably the only visitor to the Museum's Napoleon exhibit who took a photo of that house number. Still, I think it's a worthwhile topic to look at, particularly as it has come up in virtually every article and house history I've done (and for those of you who have done your own house history, or have tried to track the history of a property through addressing, it is quite difficult). So I'll use a lot of my personal research experience to explain why that is, while at the same time looking at the history of civic addressing in Ottawa, and particularly in Kitchissippi. 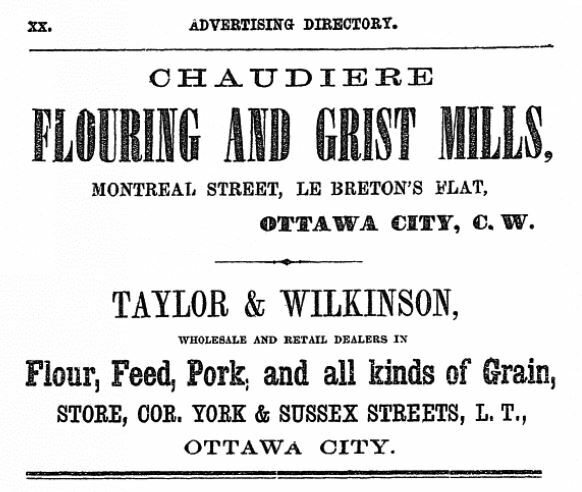 The parallels between the story of civic addressing in Paris and Ottawa are actually remarkably similar, but just 140 years apart. 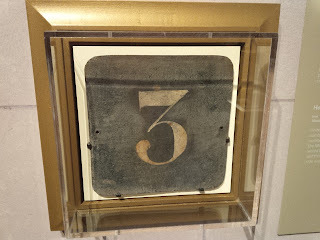 the introduction of civic numbering. It was clearly a challenge (an unnecessary one seemingly) for businesses to advertise how to find them. 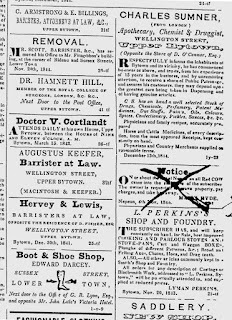 Understandably so, as for instance someone new to town who needed shoes would have needed to know where John Litle's hotel was located in order to find the boot and shoe shop! published by the Ottawa Citizen. As you'll see a little further below, within just a couple of years, ads and directories would suddenly begin including civic numbers. 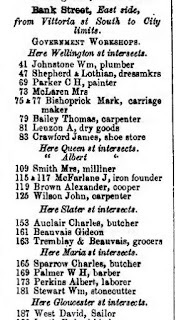 So something occurred in Ottawa around 1863 to lay out the first set of numbers. Unfortunately I cannot find any information on how this came about. Did the businesses on a particular street get together and decide they needed to have it? Was it something decreed via city council? Did an enterprising business organize it, perhaps even the news publisher themselves? 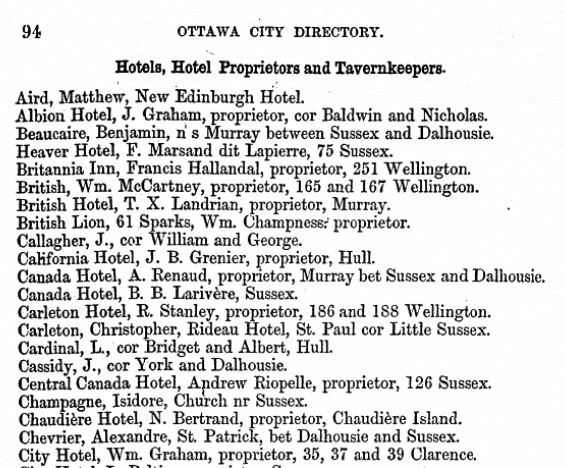 1864 Mitchell's City of Ottawa Directory. more commonly used term in the early days. 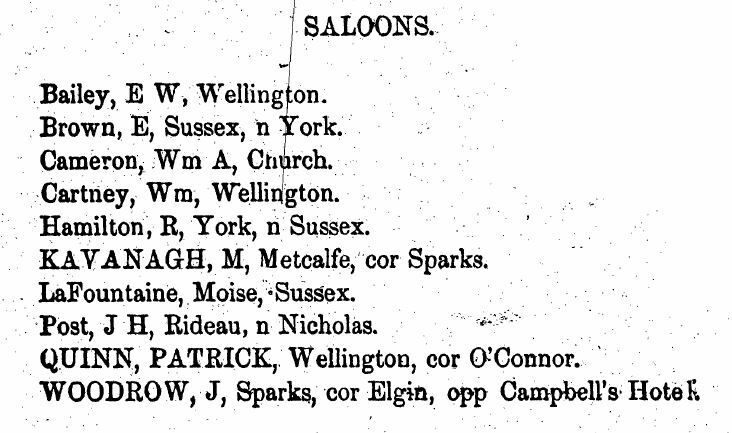 The difference appears to be that in the mid-1860s, it was only a few streets that had numbered houses, notably Rideau, Sparks, Daly and Wellington. These would have been the more primary, commercial-centric streets, thus the theory that it was the businesses themselves that organized a numbering system may be the most likely. 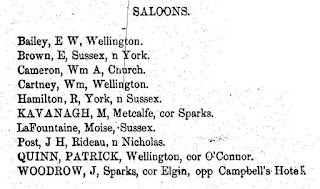 The 1874 directory actually made mention that street numbers were not included yet, as even some street names were not yet considered officially adopted. 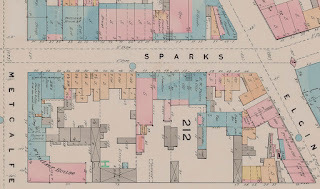 The directory added: "it has been deemed expedient by the City Engineer to defer the street numbering until the names are definitely settled, as many streets in continuous line bear more than one name (for example Clarence, Parry and Franklin), thereby involving three sets of numbers." Thus an organized effort was undertaken by the City Engineer's Office in late 1874 or early 1875 to assign street numbers formally (as well as to fix/change street names). 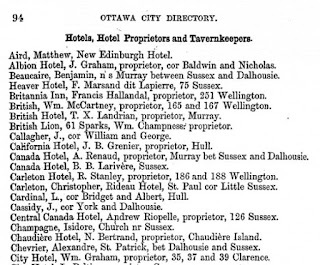 This was confirmed as by early 1875, all directories, and most newspapers and ads begin including street numbers for Ottawa homes and businesses almost instantly. of all building on the east side of Bank Street. numbered, in more or less the same pattern and #s used today. 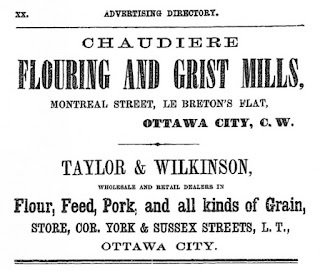 Now this covers addresses within the City of Ottawa itself, but for the suburban areas, and in Kitchissppi in particular, the neighbourhoods themselves had barely begun developing by 1878, and civic addressing was not at all needed. Most of these future communities (Hintonburg, Mechanicsville, Westboro) were in their infancy, and no house numbers were used. By the 1890s Hintonburg had developed well, and house numbers were added, but in a completely random way. 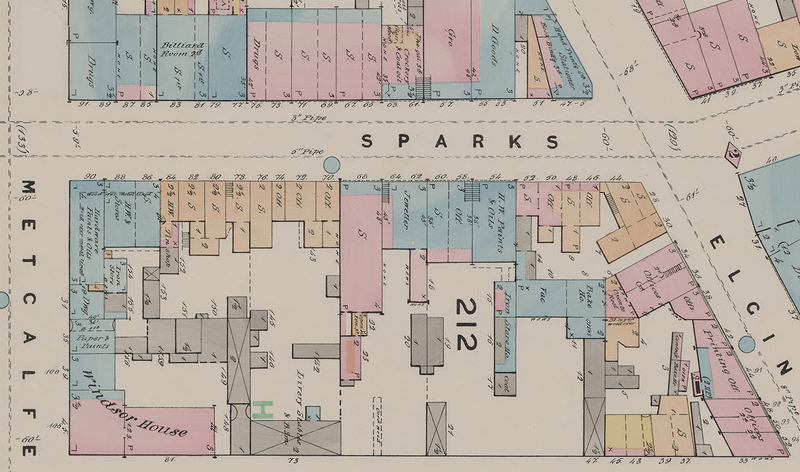 Here is a view from the 1895 fire map (actually updated to about 1899) from Hintonburg, showing Wellington between Merton at left and almost Bayview at right, as well as Armstrong (then called "East") above it. As you can see, the numbering is all over the place: odds and evens mixed, sequences of numbers ending and re-starting, number 14 across the street from 260, etc. 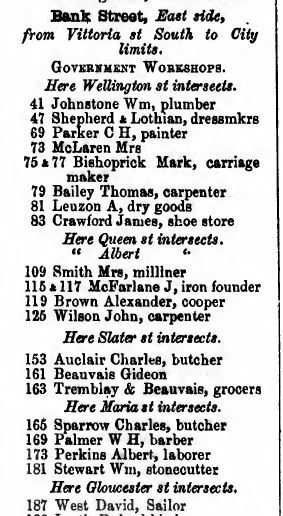 In 1901-1902, the Hintonburg village council (still an independent village, no longer part of Nepean and not yet a part of Ottawa) had devised a more standardized numbering system, and so at that time, numbering improved somewhat. in that every house had a civic address. However, Mechanicsville, Champlain Park, and Westboro and other growing residential pockets had no addressing at all. 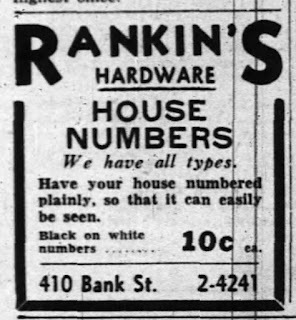 Or perhaps in some cases addressing might exist, but like in the early days of Hintonburg, the numbers used were random; home-owners perhaps selected a number of their choice, or sometimes used their legal plan lot number, etc. This was not a short-term problem. Though Hintonburg had the foresight to take care of this issue early, other areas that would not become part of Ottawa until 1950 had no requirement too, and no centralized body coordinating the effort. Many who have done research on west end-related topics for anything prior to the 1940s can attest at the frustration of attempting to track a person or building through an address. 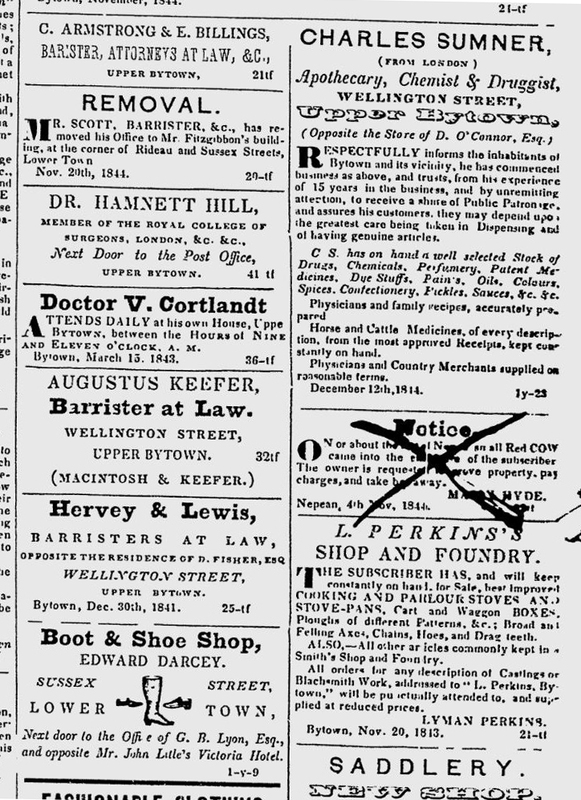 Newspapers of the era reported problems due to the issue or poor addressing in the suburbs. 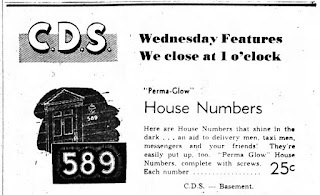 In 1932, it was noted that houses were numbered the same on each side of Lees Avenue, causing a doctor to be called to an address twice, and each time going to the number on the wrong side. This specific issue was brought up at City Council, and the City Controller proposed a solution of changing the name of the street on one side of the street! 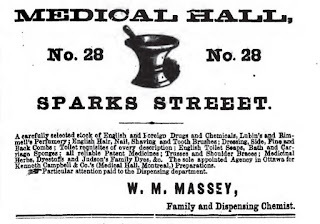 (This would have left one street as we know it today with a different name on opposite sides). Primitive days of street numbering for sure. What finally forced the issue in the suburbs were the requirements of the federal Post Office Department when mail delivery was slated to begin. 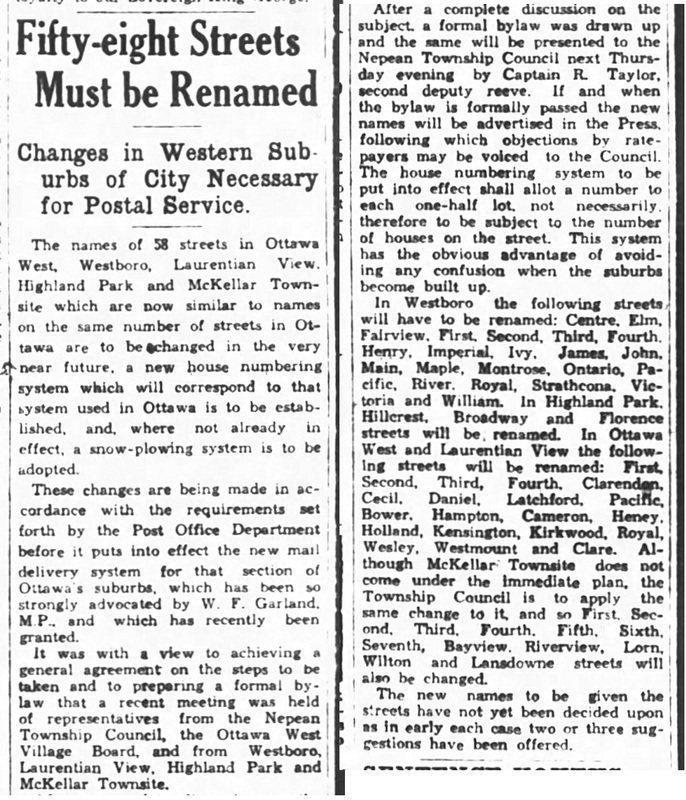 It was announced in January of 1931 that the names of 58 streets in Kitchissippi (those similar or duplicates of names of Ottawa streets) would need to be changed, and a formal house numbering system established. Representatives from the community associations worked with Nepean Township and to develop a plan, by which a civic number would be allocated to each half-lot. 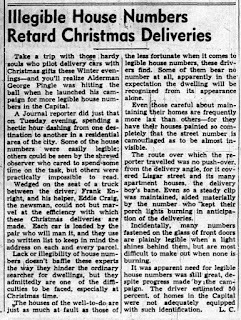 In most Kitchissippi neighbourhoods in 1931, houses were still sparse on most streets. In some parts of McKellar Park or Westboro there were still only a handful of houses on any given street. However, the growth to come was anticipated, and thus the civic number allocations were made as such. This street re-naming and house re-numbering, though widely approved and supported in early 1931, took ten years to actually happen, and mail delivery by letter carrier took eleven years! 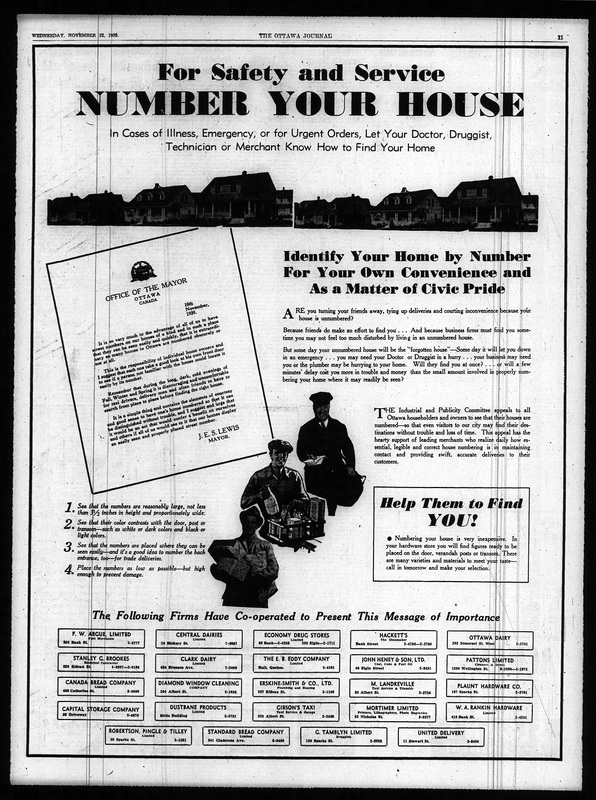 In 1932, the Elmdale Municipal Association (now the Wellington Village CA) which was doubling in size from year to year in the late 20s and early 30s joined in the battle, and sent a request for support to the Central Council of Municipal Associations looking for uniform house numbering. 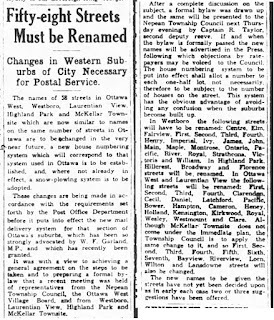 However, the economic depression was really beginning to hit Ottawa in 1931-1932, and though pressure was being received from all sides (including the Federated Association of Letter Carriers), it was deemed too expensive to begin changing street names and establishing numbering schemes. Local government just had too many greater priorities during this difficult period. 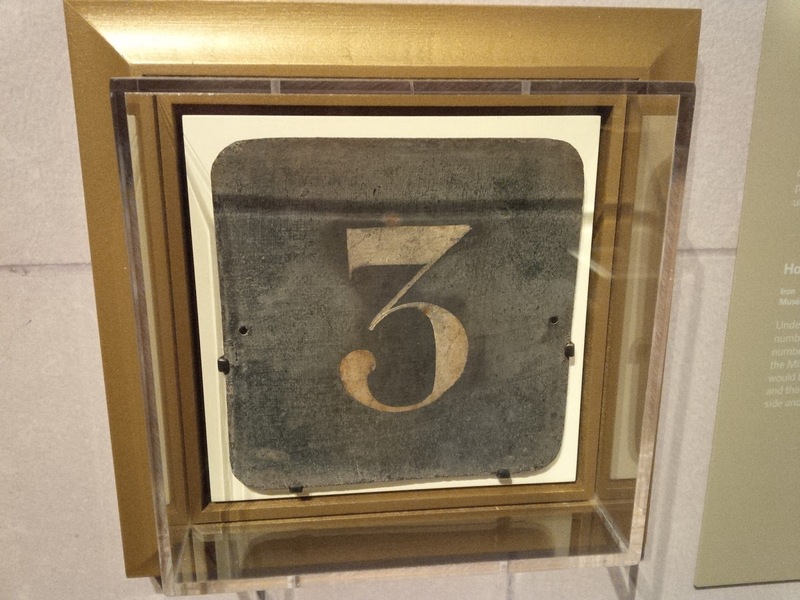 Not only was the pressure on to develop standardized numbering system, but the call was out to enforce homeowners to physically display their house number in a properly marked and visible way, including especially at night. By 1939, this had become a particularly concerning problem, one which sparked up extensively in the media in late 1939. This editorial below particularly highlights the problem, and even manages to comically throw in a complaint about the nuisance of flyers and junk mail in it's earliest days. 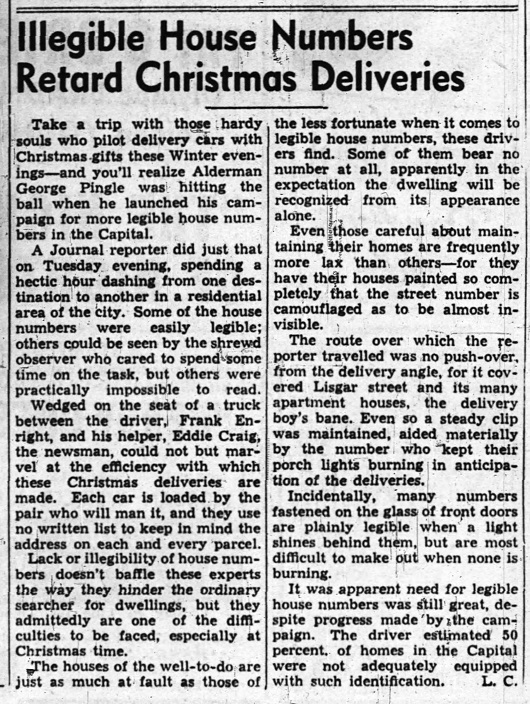 The issue would flare up again in 1946, when the idea was being considered to renumber houses in Ottawa in more standard series of numbers (most suggestions were for each block to be numbered in a set of 100, increasing to the next 100 in the next block, etc. ), and on top of that, it was strongly considered (and endorsed by the media) to abolish named streets altogether and follow other cities both in Canada and the U.S. in having numbered streets. There was also a call to force all homeowners to install electric-lighted numbers on the exterior of their home. City Council was quite close to implementing major changes in 1948, but eventually it was deemed to time-consuming and costly (studies put the estimate at $105,000) not to mention highly controversial. In the end, a compromise of sorts was reached, whereby corner street signs in Ottawa would be modified to display the civic numbers in each adjoining block (a strategy which continues to be used today), and City Council also agreed to a one-time $3,200 expenditure for house numbers, to be provided to home owners on request. Meanwhile, Nepean Township finally got around to re-naming their streets in 1941, with a large majority of names chosen with patriotism and democracy in mind (Churchill, Athlone, Roosevelt, Tweedsmuir, etc.) It is interesting to think of how differently-named many of the streets in the western part of Kitchissippi would be today had the streets been renamed in 1931 versus 1941, when we were in the midst of WWII. It was also announced in July of 1941 that all of the addresses in Ottawa West (the neighbourhood between Island Park Drive and Western Avenue), Westboro, Laurentian View (Iona-Hilson area), Hampton Park and Highland Park would be renumbered under a new scheme that would follow specific rules. Streets would be numbered from the Ottawa boundary westward, and from the Ottawa River southward. Odd numbers on the east and north sides of the street, evens on the west and south sides. No longer would each community or former subdivision plan cause a re-start in numbering, resulting for instance, in there being six houses as there was in 1941, with the address 6 Alonzo Avenue (now known as Byron Avenue). Thus, every house in these west end neighbourhoods was renumbered in 1941. The next step was for householders to meet the requirements of the Post Office Act, which stated that letter carrier delivery cannot be provided to a neighbourhood until 90 percent of houses have mailboxes or mail slots in their doors to receive mail. Thus, home mail delivery in the above-mentioned areas did not begin until May 26th, 1942. So there you have it - more information about civic addressing in Ottawa and Kitchissippi than you ever thought you would know! This is a very interesting read, thank you. I was hoping to see some rhyme or reason as to why the first house on Saville (at Sherbourne) is 1991. Such a high number for the first house on a street!